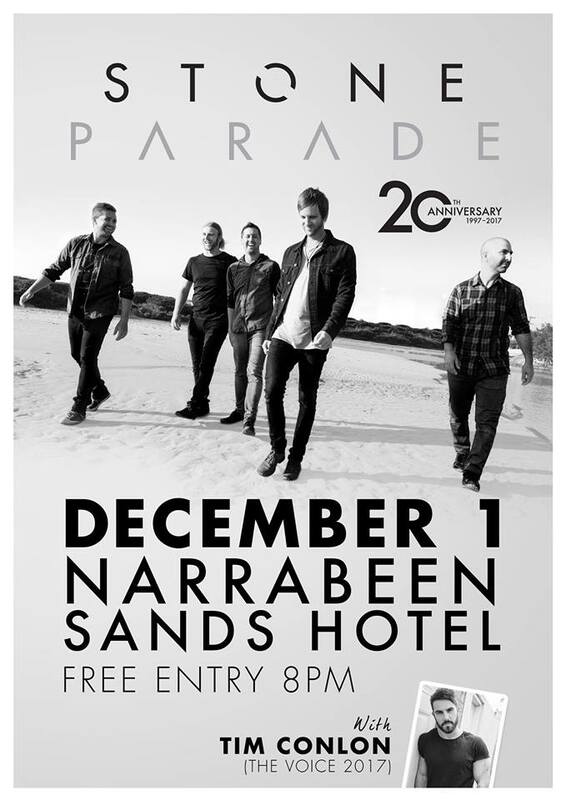 "Stone Parade are back on the beaches for an incredible FREE ENTRY show at The Narrabeen Sands on Friday 1st December. After first jamming on 'Little Wing' in Alex's pool cabana way back in 1997... 6 drummers, 4 bass players, 55 roadies, 653 groupies and 1,946 bad hair days later we are proudly celebrating 20 years 'living the dream'. The night will showcase all of our super, mega international #1 hits, our Mums favourite tunes plus some of our new ones.